One of the most overlooked aspects of a bicycle are the small numbers printed on almost every stem, bar and seatpost, the max torque rating. That small print is just overlooked as cyclists quickly make adjustments. 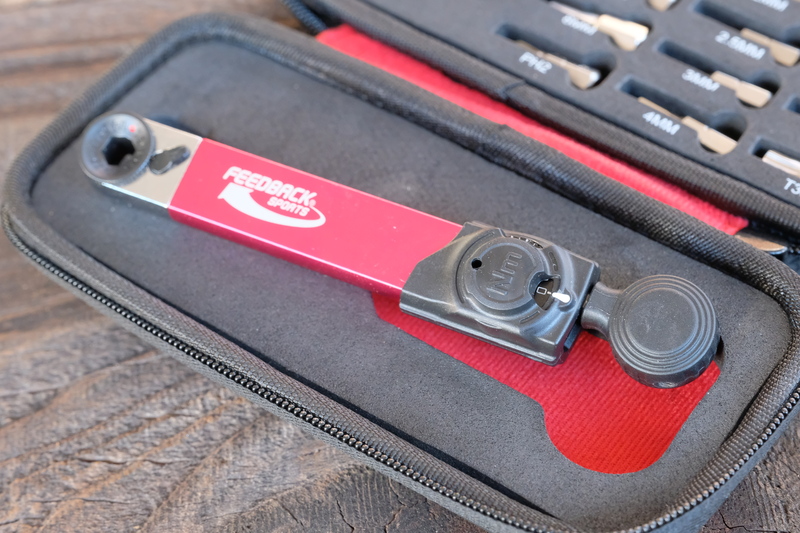 But if you have ever had a bar slip on a ride or maybe even worse, heard that terrible sound of carbon cracking as you tighten down a bolt then you might want to think of investing in a torque wrench. 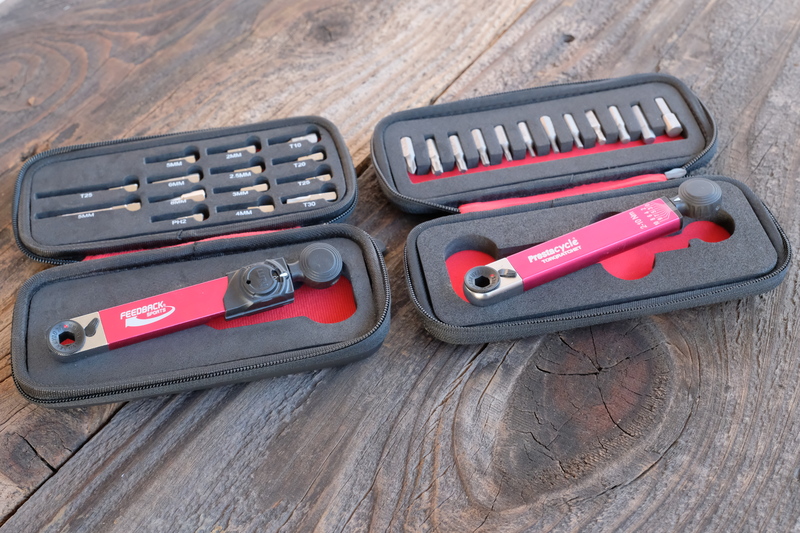 Many torque wrenches are either large and expensive tools that you wouldn’t really want to take out of your workshop area or they are the small single setting type (probably 5Nm) that you toss in your bag. The latter never seems to be the correct Nm setting or has the wrong size bit needed to complete the task. Recently over at the lavish RBA HQ we got in two options that seem to fill that void perfectly. 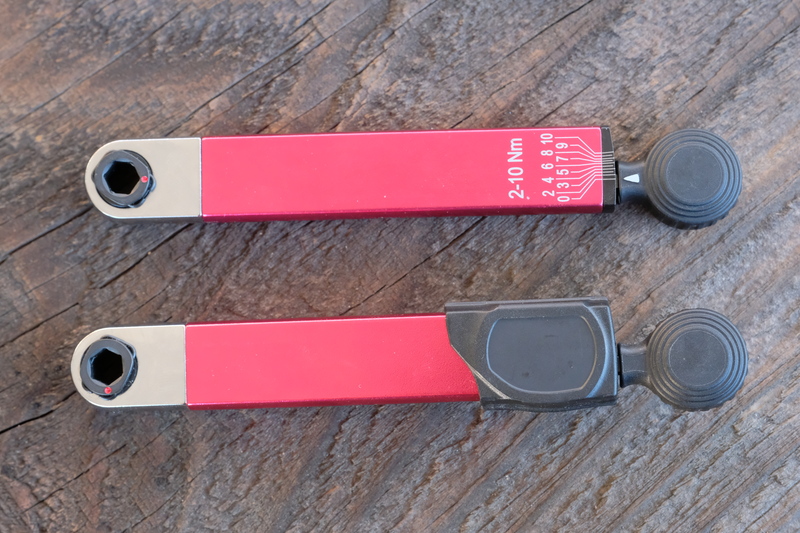 Not only will they save you from crushing a set of bars or breaking a bolt but they make easy work of most tasks thanks to their ratchet style design. They are very similar in design, almost identical, but each offers its own unique features. 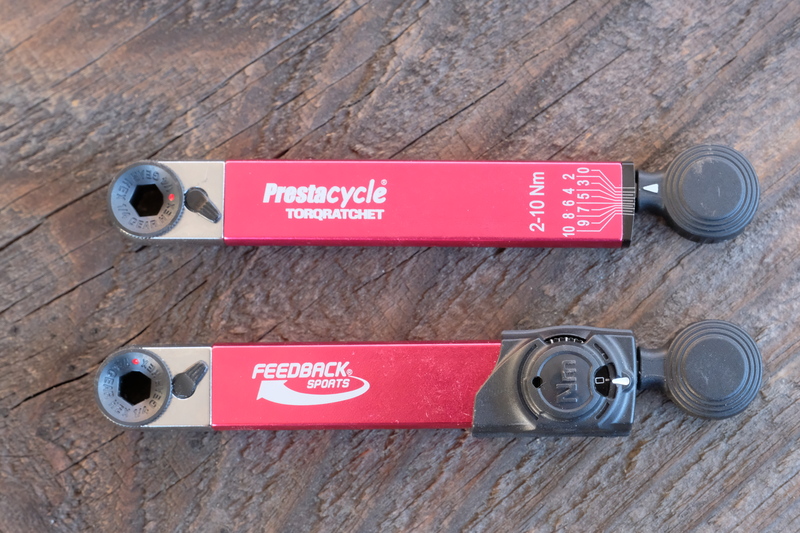 The Torqratchet is basically a Prestacycle Pocketratchet with a 2Nm -10Nm torque meter on the end. The advantage to this is you can use the ratchet to quickly tighten or loosen (not good to do with a traditional torque wrench and can lead to the tool needing to be calibrated) the majority of the bolt. Then you use the torque knob to get the correct tension. This means no need for two tools and also no need to worry about failure or broken components. The ratchet is simple with a switch to change the direction of the toll. 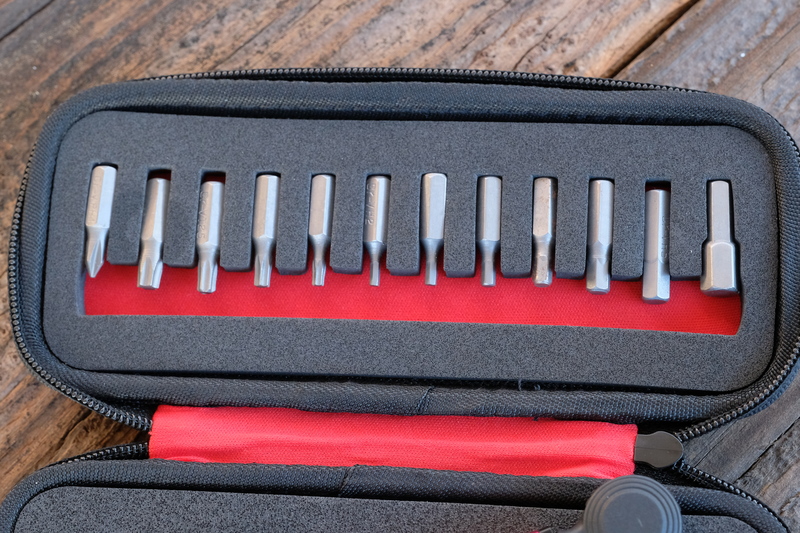 There are 12 1/4” Hex hardened steel bits that come with the kit, 2mm, 2.5mm, 3mm, 4mm, 5mm, 6mm, 8mm, T10, T20, T25, T30 and PH1. The kit also comes with a nice case that has precut foam to hold all the pieces in place. Using the Torque bar is easy, you just hold the knob on the end of the wrench. As you apply pressure the arrow on the knob will move along the torque scale that is etched into the tool. you stop when the arrow reaches the desired torque and you are done. To make the tool more versatile the torque scale is etched into both sides of the tool. The only downside to this system is the lines of the scale are very small and compact like the tool. This makes it difficult to see which line goes to what Nm. Even though this can be hard to read it is much better than not using a torque wrench at all. Also since most torque ratings that are printed on a bicycle are the MAX, it is always good to go just below it. When we first got the Range we thought this looks familiar. We were correct, it is essentially the same tool with some modifications. It has the same 2Nm- 10Nm torque range as well as the same knob and torque bar design. Feedback says they were impressed with the Prestacycle offering but wanted to make reading the Nm setting easier. The outcome is the Range. It functions as a ratchet the same and even the prosses of using the knob for torque is the same but Feedback has added a dial until to reach the desired torque. As you press the knob the dial spins displaying the Nm in a small window opening that also has a line that is used to line up with the stationary marking on the body. The dial also has lines halfway between each numeric Nm marking for more precise use. Because of the design, the tool can be calibrated after each use to ensure the most accurate reading. This is a benefit and drawback as we noticed we needed to do this almost every time we used it. The other drawback is the dial is only on one side of the tool and in a few cases, it was bothersome. The upside is that it is much easier to read the dial and you feel much more at ease that you got the Nm you wanted. 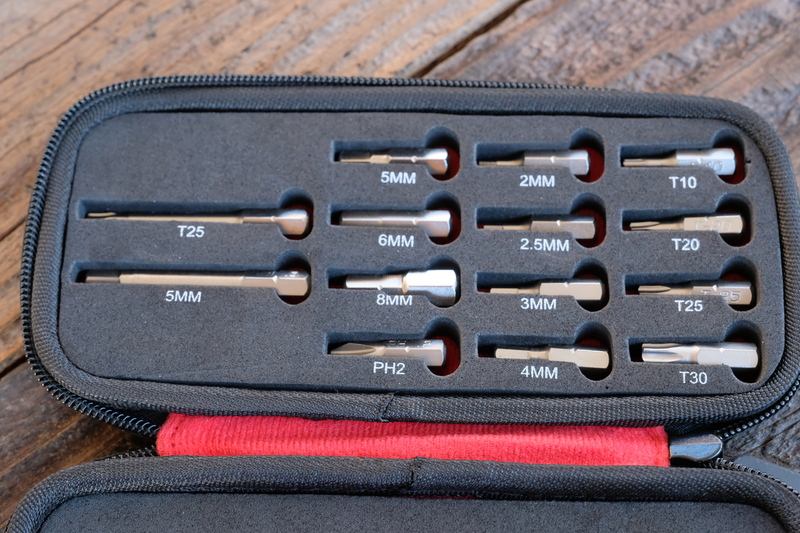 The Range also is a kit with 14 premium S2 steel bits. It offers the same 12 as the Prestacycle but the addition of an extended 5mm Hex and extended T25 Torx. The kit also includes a zippered case with the custom cut foam. In this case, however, each cutout is marked making it much easier to find the exact size you need. Each company offers the same quality tool overall. 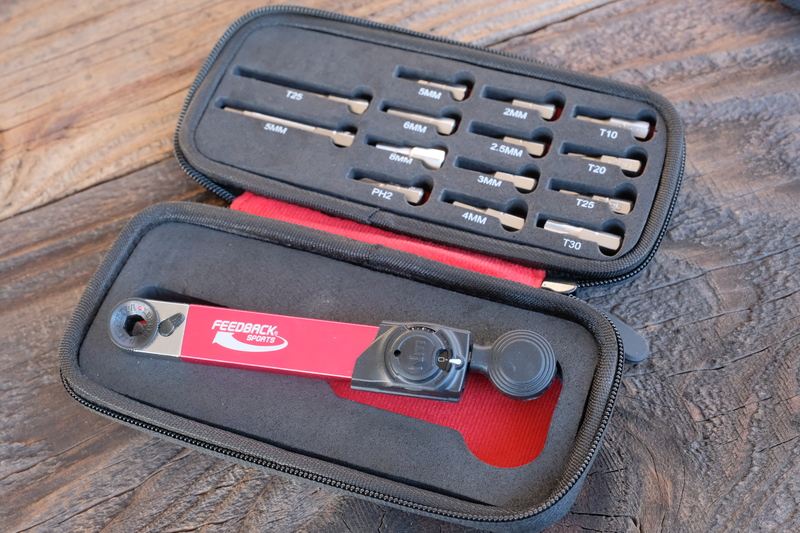 The Feedback Sports kit offers two extra bits and a slightly stronger bit material. 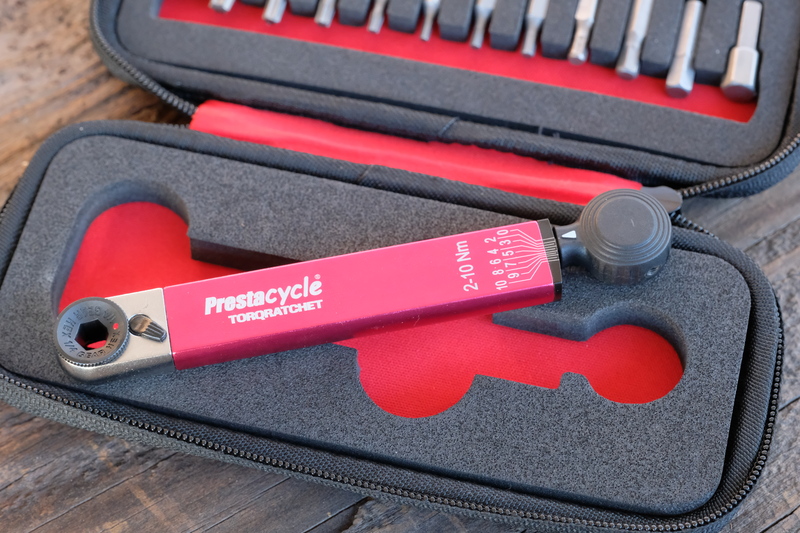 The Prestacycle offers torque readings from both sides and a no-fuss knob operation. While the Feedback sports version needs reset each time the display is much easier to use and for use really made the tool worth the extra investment. Either option is a must-have thanks to its size and how important it is to use. 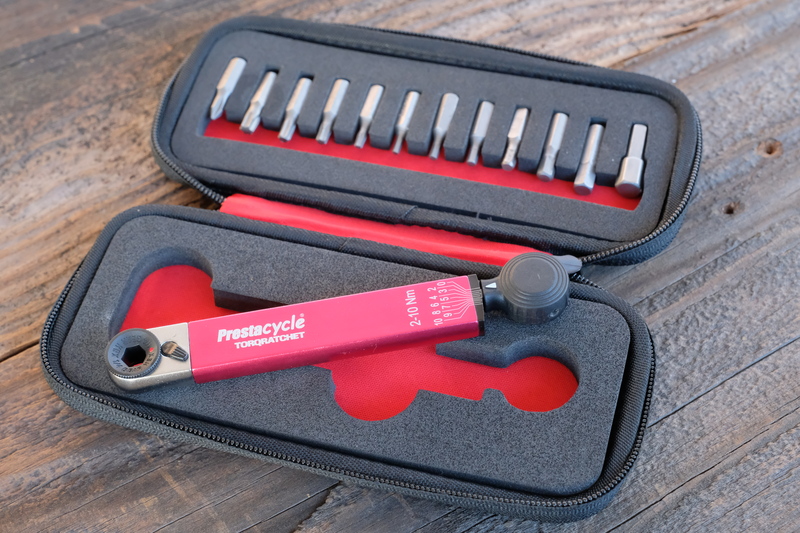 If you want to save a few bucks and get the tool that will just work every time, with no calibration needed the Prestacycle TorqRatchet is the one. If you want a bigger and easier to read scale then go with the Feedback Range.